The development comprises of four blocks containing ground floor retail space and twelve flats on the two upper floors of each block. 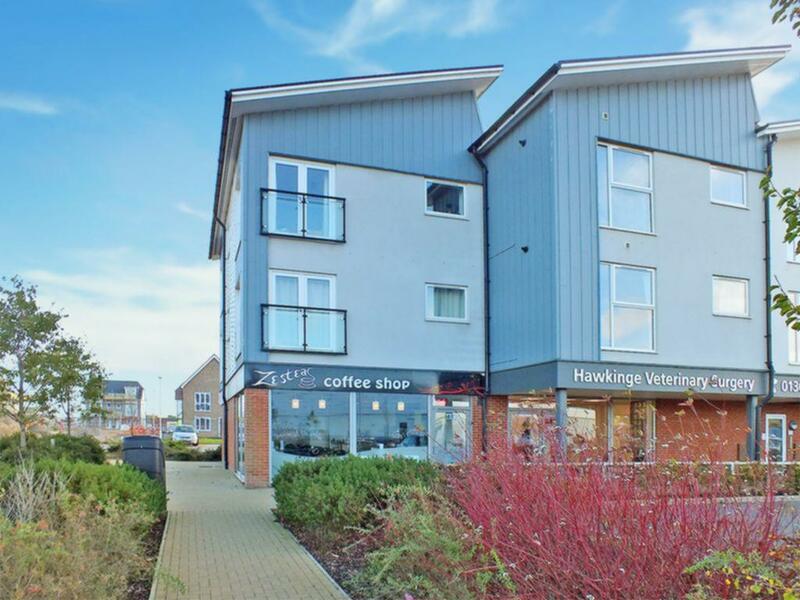 The area benefits from excellent prominence being centrally located for access from the business park, residential areas and primary school with further development to the rear. The block which the café resides in is of contemporary design with modern materials used. The shop has a full height front window and a designated signage area which can be seen from the road. There is access from the side and seating to the front. 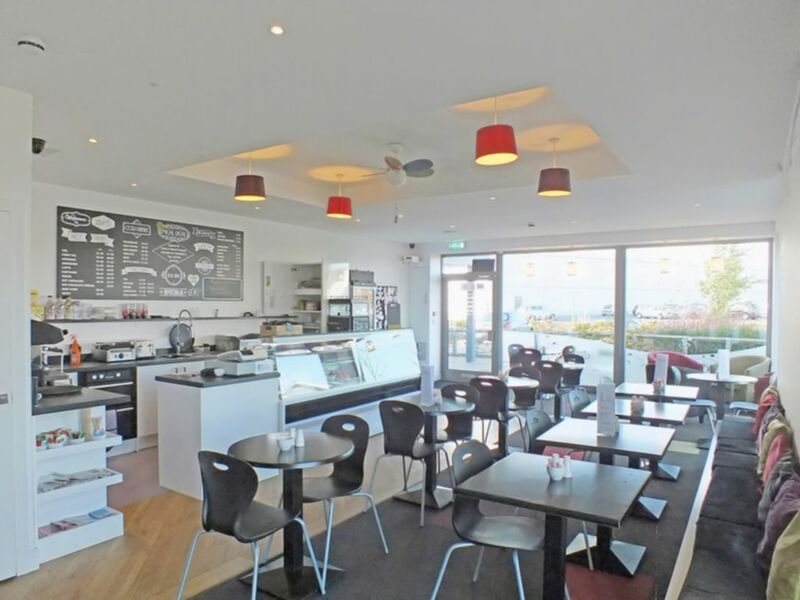 The café is fully fitted and includes a double oven, fridge, freezer, chiller, dishwasher and coffee machine. A full inventory is available upon request. 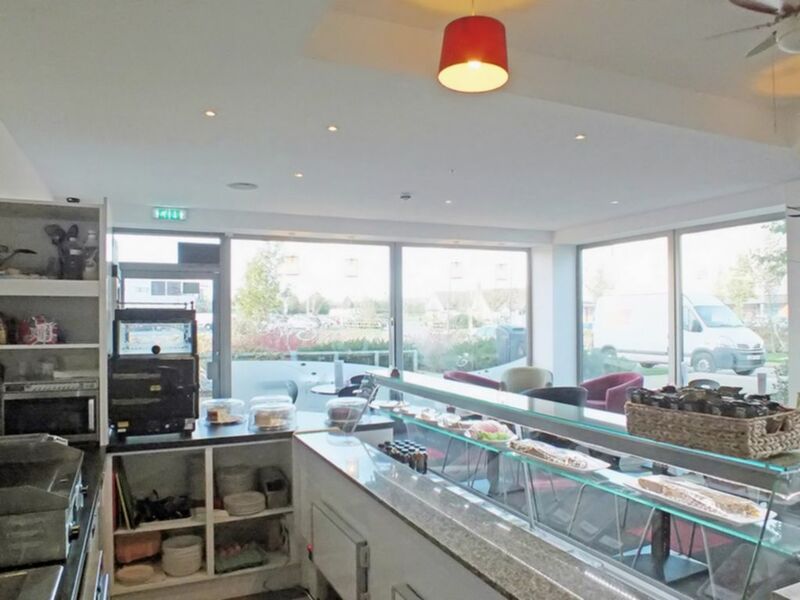 There is ample parking for both staff and customer within the scheme which is situated just off Spitfire Way, A260 Folkestone to Canterbury Road. 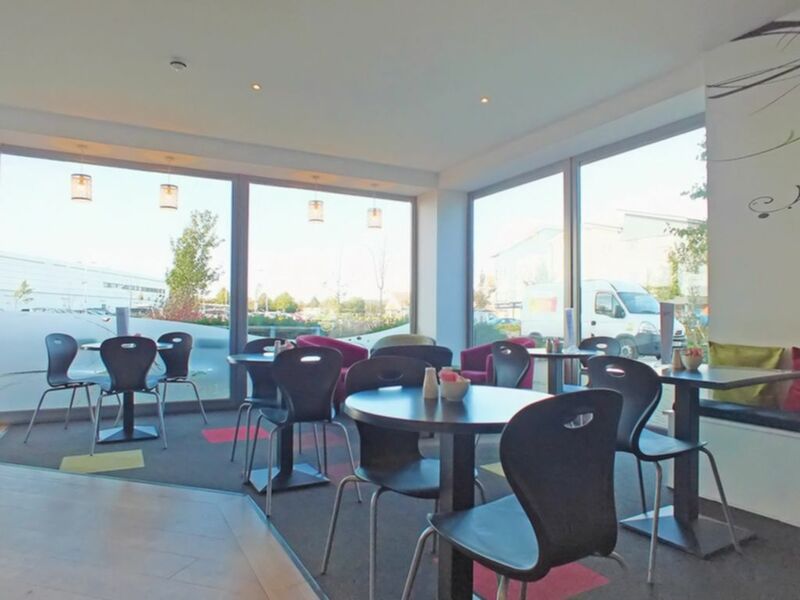 There is no other café in Hawkinge and therefore we feel that the business has a lot more potential to grow. The turnover has improved 25% each year, however the owners are now looking to emigrate. Other businesses in the development include Elite Flooring, Lloyd Adams, Vision Pharmacy, Buzzlines and Hawkinge Veterinary Surgery. The newly refurbished Lidl supermarket is opposite which attracts a large amount of custom. No business shall trade for the period of 15 years from the 23rd May 2014 which conflicts or directly competes with the existing use. All mains services are connected within the property. Premium: £60,000 including fixtures and fitings and S.A.V. Strictly by appointment only - Staff unaware of sale. Tel: Motis Estates on 01303 212020.